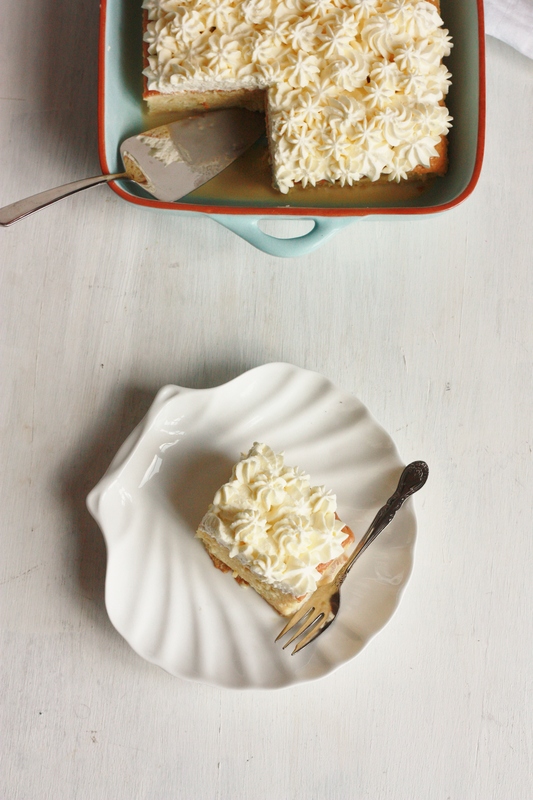 Tres leches cake, or torta de tres leches (three milk cake), is a sponge cake soaked in three kinds of milk – for this recipe I used evaporated milk, condensed milk, and whole milk. 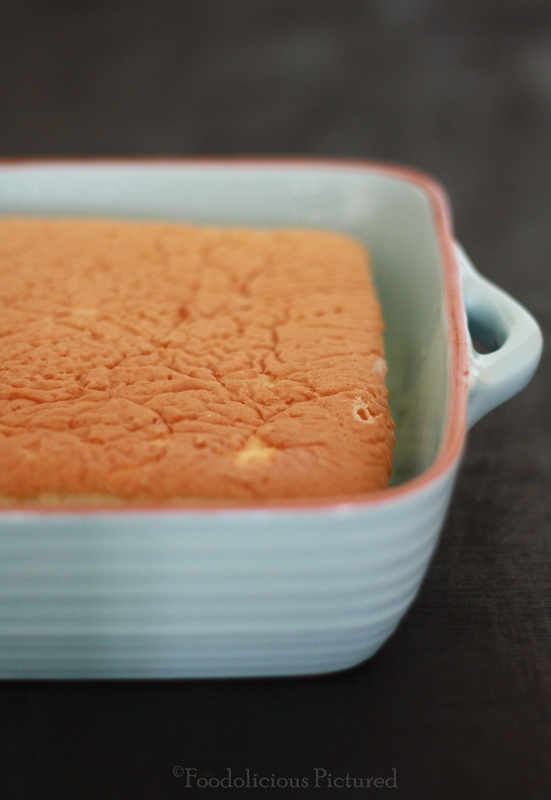 Despite being soaked in milk, this cake is very light and airy, with a nice texture to it. A good spread of whipped cream on the top make it even more delectable. There is something very exotic about Mexican inspired recipes, and this cake stands true to that! A few points to note while making the cake batter; make sure to beat the egg yolks really well until they pale, creamy and double in volume. With the egg whites, make sure to beat them until its glossy and stiff peaks are formed, but stay short on over beating the whites to avoid it getting too dry. Onto the mixing part, make sure to go gentle with the mixing, or else the egg whites will deflate and your cake will not be very spongy. For the whipping the cream, I always put my mixing bowl and the whisk attachment in the chiller for around thirty minutes prior to the process. And stop whipping once you have the right consistency to spread or pipe. Pre-heat the oven to 180 C. Sift the flour, salt, baking powder and set aside. Grease and dust a 9 inch square pan or use as 9*13 inch pan. In mixing bowl, whisk together egg yolks and sugar until pale and creamy. Add the vanilla essence, milk and whip for a minute. Add the dry ingredients to the egg yolk mixture and gently mix till everything is well combined. In another clean and dry bowl whip the egg whites till stiff peaks. 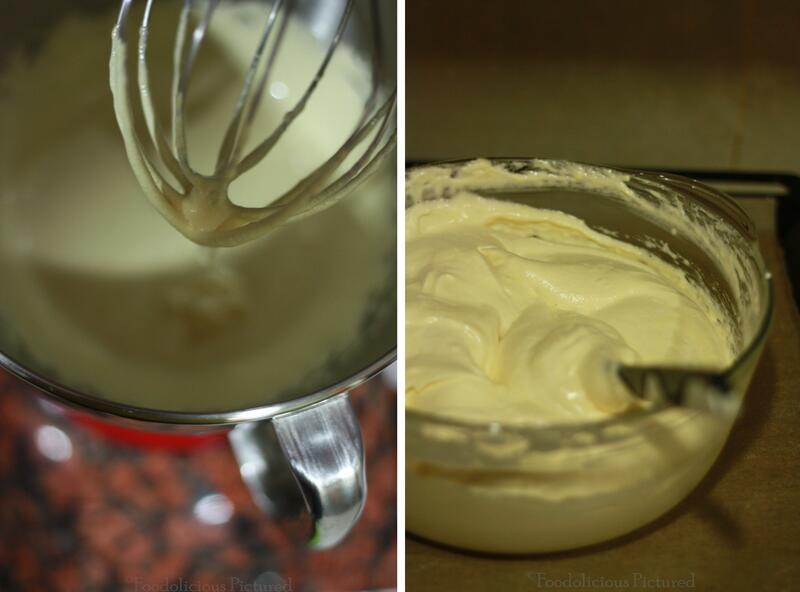 Now gently fold the egg whites into the batter and make sure you do not over mix or the egg whites will be deflated. 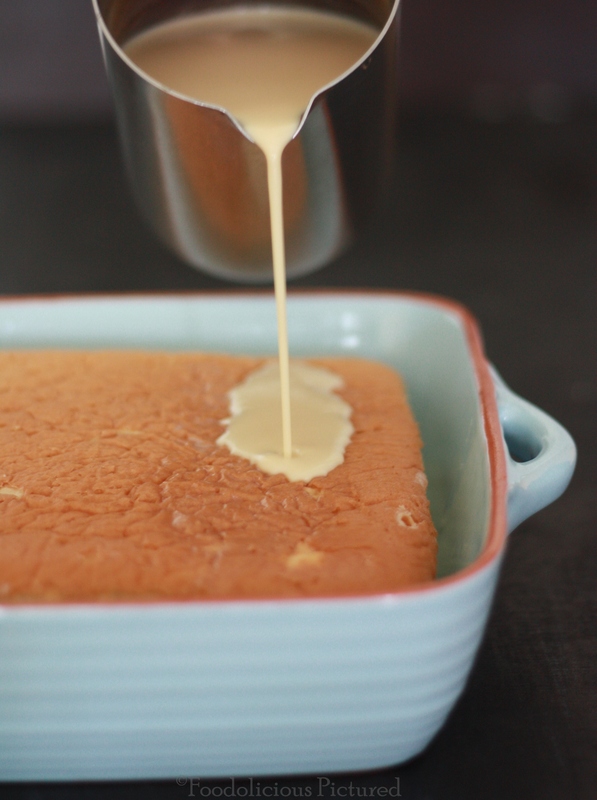 Pour the batter into the prepared cake pan and bake for about 20-25 minutes or when toothpick inserted in the centre of the cake comes out clean. Remove from the oven and cool the cake for 15 minutes. With a fork pierce all over the top of the cake and set aside. And to make the milk mixture, add all the 3 milk into a jug or measuring cup and give it a good mix. Now place the cake into a serving dish that has high sides (so when you pour the milk over it does not flow out) and pour the 3 milk mixture. Let it sit for about 30 minutes or till the cake has soaked in all milk. Let the cake chill for at least an hour before you serve. Hahaha cough syrup 😛… Thanks a bunch Meena! I have made this once and absolutely loved it! You are tempting me to make it again, but then the calories scare me… hehe… Looks so delicious…. 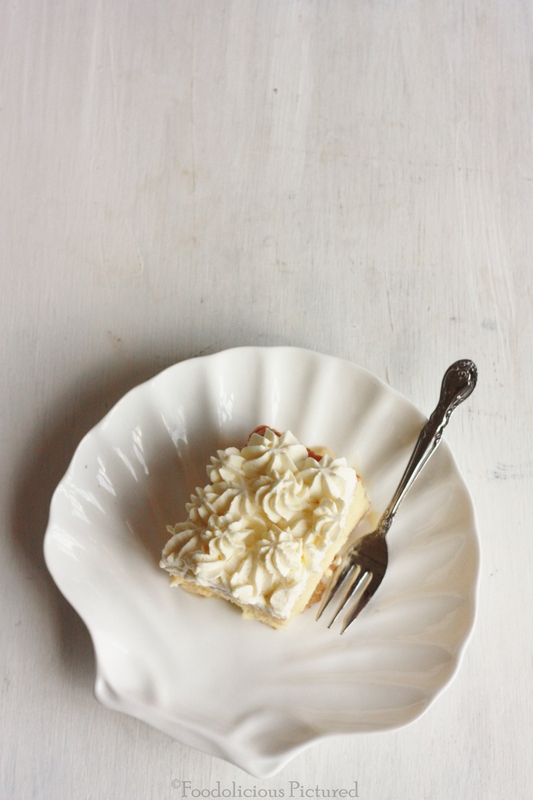 I LOVED the cake, so happy that you kept a slice for me :D, it was surprisingly light and not too sweet, keeping the recipe to try sometime soon ! 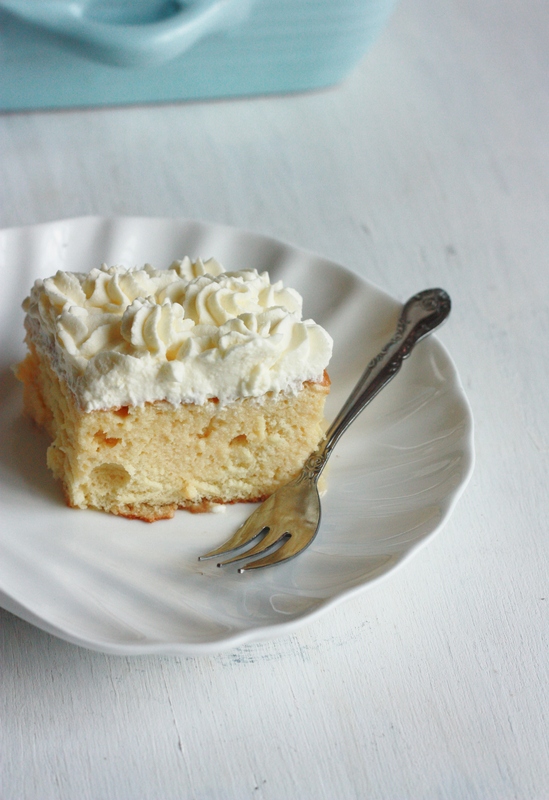 I have only eaten this cake and never tried myself…the calories is the only thing that scares me from trying it out..but I love this cake…your looks soft ,light and scrumptious !! 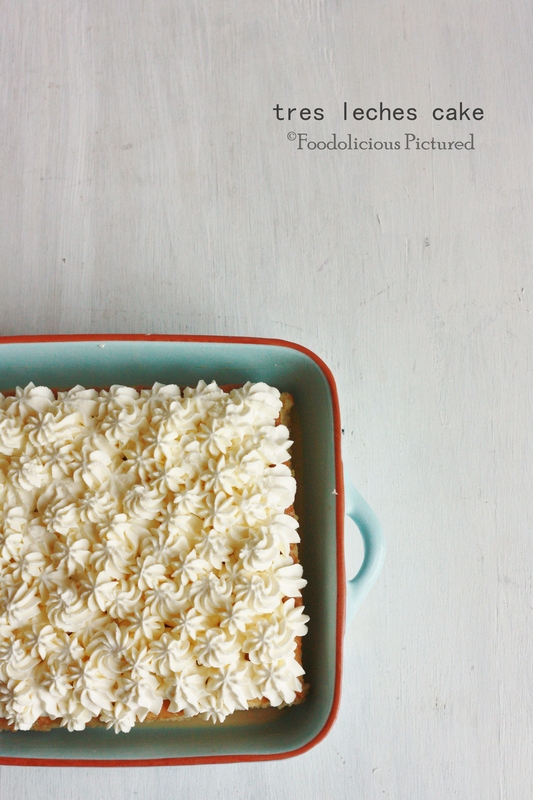 I love a classic tres leches cake. This looks perfect!